Convert EML to XHTML with attachments fast! 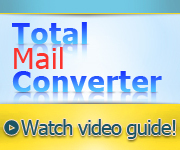 You are here: CoolUtils > Total Mail Converter Pro > Convert EML to XHTML with attachments fast! 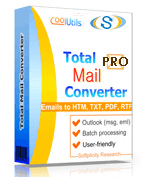 Total Mail Converter Pro is a handy utility that has captured the hearts of many users, thanks to its ability to convert EML to XHTML with attachments. Besides, this program features an option, which allows users to manage a handful of EML messages in one go without picking each one separately. Intuitive and versatile, this EML converter makes you want to work with your files around the clock. Indeed, it is not actually you, but the program itself, that is working. What you have to do is to sit and watch it work, and make sure that it works as you have set it to. 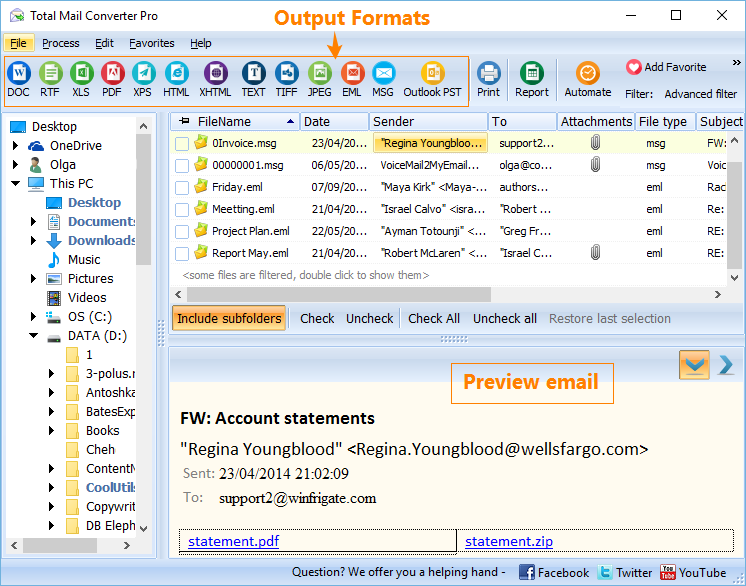 This program will convert email attachments should there be one in your message. This is the best thing about the Pro version. Other advantages include an opportunity to combine several messages into a single output file and various output file appearance options. Like any other similar utility, this one features an intuitive interface divided into sections. In the left-hand section you can see a folder tree. Navigate it and find the folder with your emails and click on it. The emails will be listed in the middle section. Tick the emails, which you are intent on converting to XHTML manually or use the "Check All" button to tick the entire group. Select "XHTML" in the upper bar. The contents of the message will be displayed in the right-hand section, so that you can preview your messages prior to conversion. Destination defines the folder, in which your output files will be saved. Here you can also choose whether you want to save messages as separate files or as a single one. 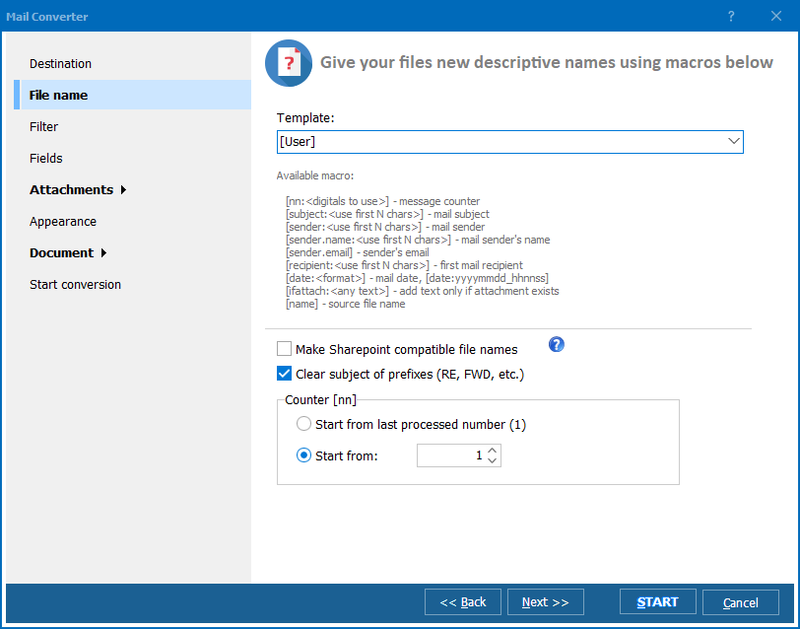 File name offers you the file name template with a list of available macro and an option allowing you to remove prefixes. Also, you can set the program to name your files in the specified pattern starting from a certain one using the "Start from" option. Fields allows you to specify fields (recipient, sender, subject, etc.) to export. 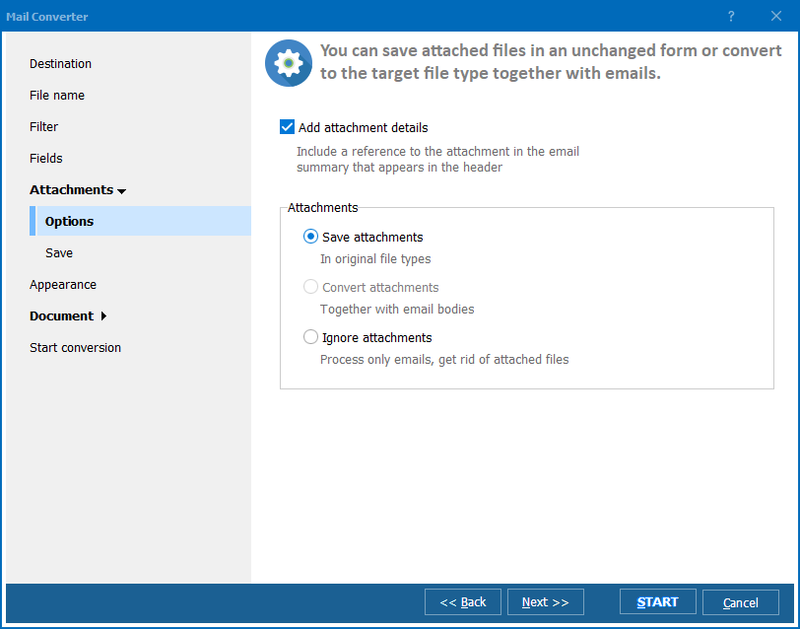 Attachments is the newly added option, which offers you an extensive array of actions, which you can apply to files attached to your messages. Header/footer options allow you to shape headers/footers in your most preferred way. Document option allows you to choose your most preferred file protection method and other options. If you are sure you have set all the options in what you believe is the best way, click "Start!"